For booking information, please contact Mike at mikewalkermth@gmail.com. The awards ceremony will be hosted by the Starlight Theatre on October 11, 2015 at 7 p.m. The Starlight Theatre is located at 3115 W. Hwy 76 Branson, MO 65616. Tickets may be purchased by calling the Starlite Theatre Box Office at 417-337-9333. Exciting news! 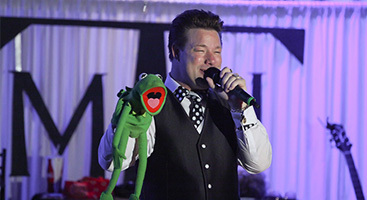 On October 12, 2014, Mike Walker received a Branson Terry Award for Tribute Artist of the Year. Way to go, Mike! Mike was inducted into the International Rock-a-Billy Hall of Fame on December 13, 2013 in Jackson, TN. 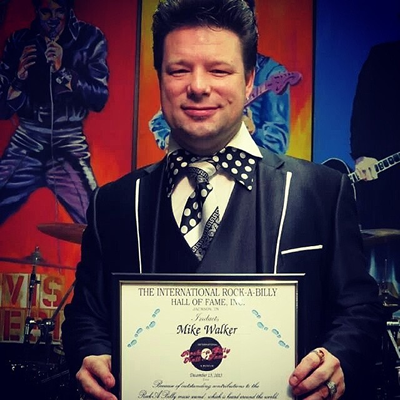 Dreamworks Recording Artist and Jackson Native, MIKE WALKER, wasa inducted into the International Rock-A-Billy Hall of Fame on December 13, 2013. Walkers Rock-A-Billy roots land him side by side with Carl Perkins, Elvis Presley, Johnny Cash, Jerry Lee Lewis and Roy Orbison. Mike Walker a Jackson, Tennessee native will be the newest member of the International Rock-A-Billy Hall of Fame as of December 13, 2013. 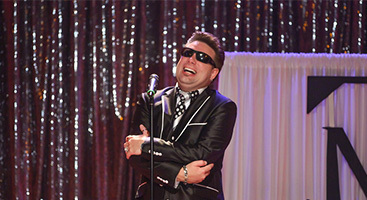 Mike’s first record deal was landed in Jackson with a local label called “Rock-A-Billy Records” back in 1998. Two years later his vocal ability landed him a major record deal with “DreamWorks Nashville Records”. His first radio hit called “Honey Do” marked Walker as a bona fide country star. The video for “Honey Do” still makes appearances on GAC and CMT. Mike is now doing shows along side of country music royalty, Mickey Gilley and Ronnie McDowell. 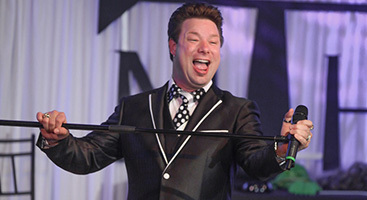 Walker resides in Branson, Missouri where he performs April through the first week of December at the Hamner Variety Theater.